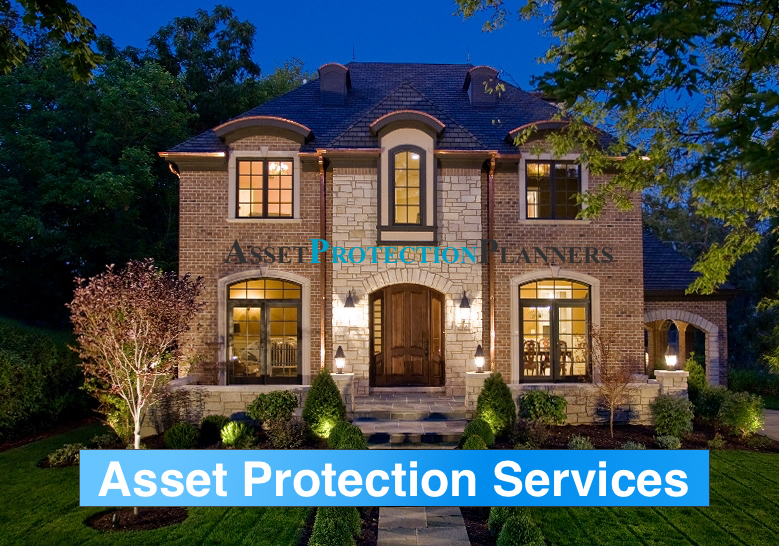 Asset protection services start with finding out what threats you are facing. Next, we take a look at the assets that you want to protect. So, we ask the following questions. What do you have to protect? What is each asset worth? 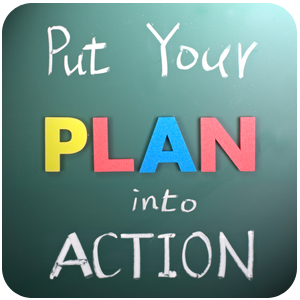 Based on that information, we create an asset protection service plan and discuss a course of action. Thus, we work with you to determine which legal tools offer the appropriate levels of protection for your needs. We establish domestic and international plans. Are you comfortable with an international asset protection strategy? If not, should you be? Keep in mind that local judges have access to local assets, regardless of their structure. Many a domestic asset protection plan is thwarted by results-oriented judges. 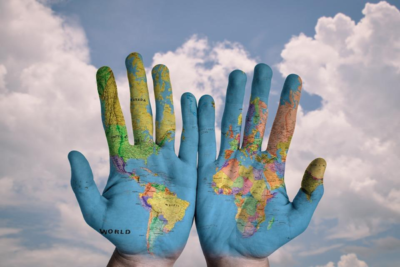 What if going international was the only practical means of protecting your assets? Keep in mind that it is the job of opposing counsel to poke holes in your defenses. Therefore, you put yourself in the driver’s seat when you put your assets in properly crafted legal tools. Once you do, you have the option of keeping your assets locally or sending them on a little vacation overseas. Global Finance publishes an annual list of the world’s safest banks. 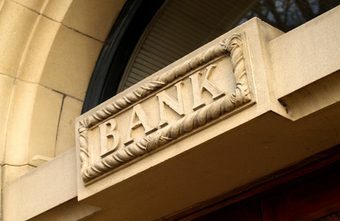 Out of the 50 safest banks, guess how many are in the USA? Go ahead, take a guess. 47? 40? 28? Not even close. The answer is 3. Yes, three. And, oh yes, they are all on the bottom half of the list. So the question is not, “Are you funds are safe offshore?” The question is, “Are they are safe in the USA?” This is glaringly clear when someone is about to get a judgment against you and will use it to empty your US bank accounts. How safe is your money then? Risk evaluation and asset protection service plan consultations are free. In fact, you can speak to a professional and get immediate answers today. There are a number of legal tools that you can use depending on your circumstances. For instance, you might need long-term estate planning, immediate asset protection or both. Accordingly, when we help you structure your asset protection service plan we consider your individual needs, preferences and comfort levels. Thus, in order to stand up in court, you need to make sure that you have employed properly established each legal tools. So, you are best served doing this with a qualified, experienced asset protection planner. Asset protection service plans often consist of multiple legal vehicles. This can include corporations, LLCs, partnerships, various types of trusts as well as private banking accounts. These vehicles are selected and formed according to one’s desired level of protection. As indicated above, this often includes multiple legal jurisdictions, including foreign countries. The choices depend upon the complexity of the individual’s needs. A properly established family limited partnership can provide a strong layer of protection between your assets and your creditors. As a result, pursuing the assets held in this entity is difficult. Suppose, for example, there is a judgment against you as a partner of an FLP. If so, your opponent must get an additional court ruling your opponent for the right to distributions from the FLP. This is called a “charging order.” They must obtain this in order to attempt to receive distributions of profit from the partnership. The problem for your opponent is manyfold. First, they cannot force you to make distributions. Second, whoever has the right to receive those distributions must pay taxes on them as if they had. Third, your opponent now has to pay taxes on money they did not receive (Revenue Ruling 77-137). 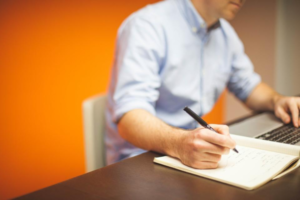 Limited liability companies or LLCs, are very common components of asset protection plans. They can provide a combination of asset protection and lawsuit protection. When someone sues a member there are provisions in LLC statutes such that the membership interest and assets in the company are safe from seizure. It also offers lawsuit protection, protecting the members when someone sues the company. As such, they are the often preferred tool for owning real estate and stock market investments. The US states of Wyoming, Nevada and Delaware currently offer preferable protective statues. Internationally, Nevis and Cook Islands offer superior protection over their US counterparts. Also known as self-settled spendthrift trusts, asset protection trusts are tools are specifically designed to shield assets from creditors. They set aside assets solely for the enjoyment of trust beneficiaries. So, the provisions state that opponents cannot seize assets held therein to satisfy a judgment. Notably, trusts must be properly established and have true third-party trustees. You must hold assets therein for a specified amount of time for the full asset protection benefits to kick in. Now, there are domestic asset protection trust laws in Nevada, Wyoming and Alaska to name a few. However, the actual case law for domestic trusts are medium at best. US judges have jurisdiction of US assets. So, we have seen courts seize assets from these trusts. Conversely, offshore asset protection trusts such as the Cook Islands Trust and Nevis trust have quite respectable track records. In fact, we have never seen a client lose assets housed properly in the Cook Islands trusts that we have established. Furthermore, we have set up over 1500 trusts. So, when you compare domestic vs. offshore trusts and the case law history behind them, you will see that offshore wins, hands down. They are simply more effective at protecting assets. A Qualified Personal Residence Trust or QPRT, is a type of irrevocable living trust. It can own primary residences and second homes. Professionals design them to protect the home from lawsuits and to reduce the amount of gift and estate tax incurred when transferring assets to a beneficiaries. Living trusts are instruments designed to transfer assets to others when you pass. Thus, they are somewhat similar to a wills in this regard. Unlike wills, they can protect assets from probate and death taxes. Another difference is that they can prevent courts from controlling your assets if you become incapacitated or die. A handful foreign countries offer some of the strongest personal financial protection laws in existence. Countries such as the Cook Islands and Nevis crafted legal statutes meant to offer foreign investors safe harbor for their assets. These jurisdictions are financial havens that protect assets from a debtor’s local court rulings. Offshore asset protection services in these regions offer some of most protective legal instruments. Plus, they possess track records backed by years of case law. Offshore corporation and LLC formation is a fast and inexpensive way to provide immediate financial security. What is more, these tools offer substantial protection and control over assets encumbered in a service plan. Above all, when combined with an offshore bank account, these tools can keep assets out of reach of your local plaintiff’s attorney. Let’s talk about offshore banking. The safest and most secure financial institutions are not in the United States. Not by a long shot. Global Finance publishes an annual list of the world’s 50 safest banks based on in-depth research. Surprisingly. only three US banks made the list. All are deep on the bottom half. Switzerland and other conservative European countries as well as many in Asia, Canada and Australia offer much safer banking options. Additionally, there are many small offshore banking havens that provide foreign investors respectable privacy laws and international investment opportunities. Most of these banks require the establishment of new accounts through an eligible introducer to streamline the application process. This is a service we provide on a daily basis. The offshore trust is the most powerful legal tool for liquid assets. Therefore, it is the way to go for someone who has sizable bank or investment accounts. It is the cornerstone of a judgment-proof an asset protection service plan. It separates asset control from one’s home legal jurisdiction puts it into a legal system that does not recognize foreign court orders. 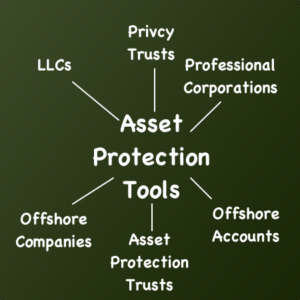 Thus, many experts agree that the offshore asset protection trust is the strongest asset protection tool in the world. 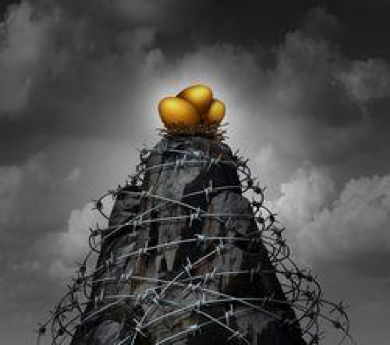 Structuring asset protection services is a complicated task that mandates professional guidance. So, our experienced consultants can make assessments to factor in all of the variables that an individual needs and wants. These legal structures and business entities each have performance characteristics that are suitable for different types of assets and values. Typically we incorporate multiple legal tools for maximum protection. For example, we place corporations inside of LLCs. Land trusts own real property for privacy of ownership. In turn, the LLCs own the land trust for asset protection and lawsuit shielding. Furthermore, we place liquid assets in LLCs housed inside of asset protection trust, for maximum protection. As discussed above, we form the entities domestically or internationally depending on the need and client desire. Then, we assist clients in establishing secure bank and/or investment accounts that provide the right balance of safety and convenience.